Can You Die from a Darvocet Overdose? Can You Overdose on Darvocet? Darvocet overdose can occur when the medication is taken by itself or when combined with other drugs that affect the central nervous system.1,2 Some people may overdose on Darvocet even when taking the drug as prescribed. Are You Ready to Get Clean? Who Answers? to speak to a rehab support advisor about the right treatment program for you. Lowered blood pressure and/or heart rate. Liver failure (from acetaminophen toxicity). Yellowing of the skin (secondary to liver failure). Call 911 if you witness these symptoms in yourself or someone else who has taken Darvocet. Because a Darvocet overdose is dangerous, do not attempt home care. Keep the person awake and alert if you can. Do not make the person throw up unless told to do so by emergency medical personnel. If the person is conscious, keep him or her sitting up. If the person is unconscious, try to roll him or her on the side to avoid choking on vomit. Continue to monitor the person’s condition, and do not leave him or her unattended. Age, poor health, and relapse increase the risk of overdosing. Taking Darvocet with tranquilizers, antidepressants, muscle relaxants, sedatives, or other medicines that affect the central nervous system. Having a history of emotional problems. Having thoughts of suicide or previous suicide attempts. Age (more likely in elderly). Impurity of drug (this may be the case if the drug is purchased on the street, where purity is usually unknown). Binging (taking large amounts of the drug in a short amount of time). Tolerance (some people may overdose at lower doses than others). Relapsing after a period of abstinence. Many people don’t realize their tolerance decreases when they quit using. They may relapse and take their usual dose, only to find it is too high. Who Answers? for rehab program recommendations. Treatment for a Darvocet overdose is similar to treatment for most synthetic opioid overdoses. However, since Darvocet contains acetaminophen, people may need to be treated for acetaminophen overdose as well. Pneumonia or chemical lung irritation from aspirated gastric contents. Muscle damage from lying on a hard surface for a long period of time. Permanent brain damage from lack of oxygen to the brain during overdose. However, many people who overdose on Darvocet are struggling with substance abuse or addiction. To prevent the possibility of another overdose (which could be fatal) as well as minimize the risk of other long-term complications associated with drug abuse, people who survive a Darvocet overdose may want to consider seeking professional drug rehabilitation services. Inpatient treatment: Inpatient Darvocet recovery takes place on a 24/7 basis in a residential facility. Around-the-clock care is ideal for those with severe addictions since it helps them focus solely on their recovery without outside stressors and triggers. Inpatient treatment typically includes a combination of individual counseling, group therapy, support groups, 12-step programs, medically assisted detox, and more. 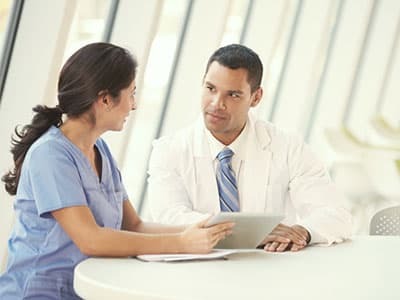 Outpatient treatment: Outpatient Darvocet recovery typically consists of much of the same treatment as inpatient facilities, but care is only part-time, and the person continues to reside at home. People in outpatient treatment can continue to fulfill professional and personal responsibilities during rehabilitation. 12-step programs: Twelve-step programs such as Narcotics Anonymous and Pills Anonymous may be helpful for those struggling with Darvocet abuse or dependence. These programs provide users with structure and support through a linear step-by-step recovery process with the support of peers. If you or someone you love needs help recovering from Darvocet overdose or addiction, contact our recovery support team at 1-888-319-2606 Who Answers? for assistance finding a rehab center near you.
. Heller, J. (2015). Propoxyphene Overdose. National Library of Medicine.
. Food and Drug Administration (FDA). (2009). Darvocet Medication Guide. All Summit locations are out of network. In terms of acceptance, it's based on their vob or self pay. Our IOP facility in Doylestown, PA is one of 4 Serenity outpatient treatment centers in the Northeast, but the only facility located in Pennsylvania. Each treatment program is customized to each client’s specific needs based on their goals, flexibility, and history of substance abuse.